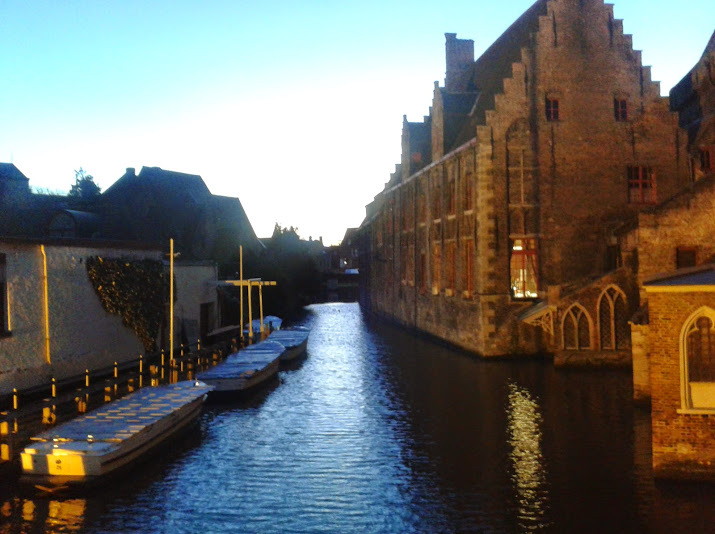 My partner Gemma and I decided that rather than buy Christmas presents for each other this year we would book a trip, and settled on Bruges as a suitably festive destination. I didn’t go with the intention of writing a post as I wanted to simply enjoy the city and its food and beer without analysing or deconstructing everything. Some say that poetry, especially the Romantics, is devalued when it is over-analysed; better to let the words wash over you and arouse thoughts and feelings. I disagree on the whole, and the same when it comes to beer – we can better appreciate it if we understand how it came to be. But sometimes you just want to relax and not record every detail of your experience, and added to this is the fact that better and more experienced beer bloggers than I have written extensively on the beer scene in Bruges. However, now that I’m home I find I want to make sense of my trip and, as I intend to return to the city, it’ll be a useful reference point. As we arrived it was already dusk and the twilight painted some beautiful colours upon the city’s skyline of tiled rooftops. After checking in at our hotel just south of the historic centre we took a wander, ticking off locations from the film In Bruges and generally taking in the festive atmosphere (think markets selling mulled wine, masses of Christmas lights, and horse and carriage rides). When it was time for a beer we made for Staminee De Garre, a highly regarded beer house located down a narrow alleyway close to the Burg square. However, when we got there there were no seats downstairs so we headed upstairs (no standing is permitted here) where we were spoken to rather abruptly by a slightly surly bar tender, so we reluctantly beat a retreat. 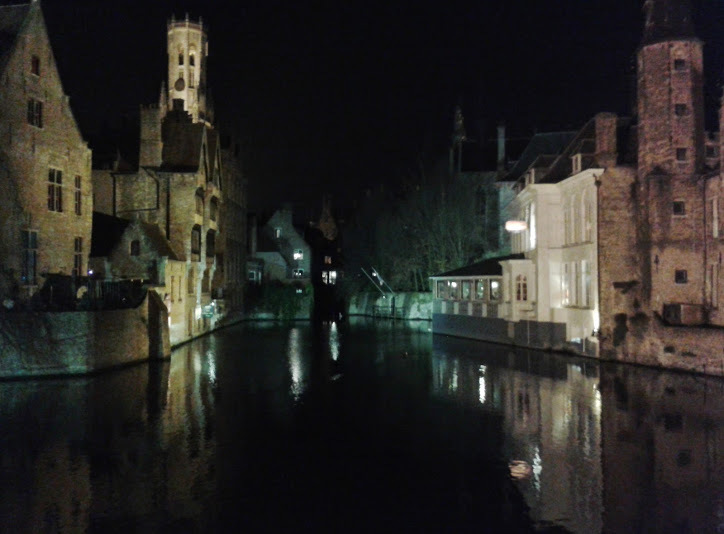 I was fairly deflated and some of the magic of Bruges was temporarily lost but the city is so beautifully atmospheric it soon picked me up again. We instead stopped for a beer at the beautiful historic Craenenburg cafe situated on the stunning Markt sqaure. The beer menu was extensive and the service fast and friendly, and surprisingly in my case we both opted for a kriek (I had a right drouth* that needed to be quenched, and this beer to me is like a soft drink). We pondered the food menu but felt it better to explore some more and ended up in a small bistro near Concertgebouw, the impressive modern concert hall that although new, complements the historic red brick architecture of medieval Bruges with its terracotta tiles. 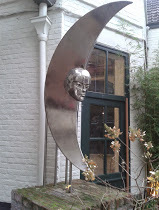 The next day we had breakfast and decided to visit the Béguinage of Bruges, a beautifully quiet and contemplative place, the tour group of 25 Spaniards notwithstanding. We then hoped to take a canal trip but the weather made a mockery of our plans as the rain began teeming down. 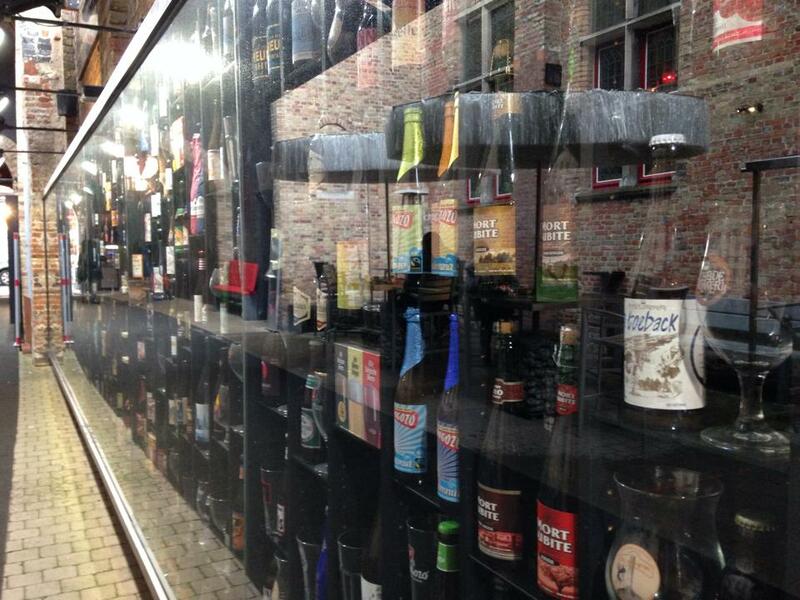 Instead we took the tour of De Halve Maan brewery, the only working brewery within the old city of Bruges. I had been warned by Melissa Cole that the tour can play fast and loose with the facts but taken with a pinch of salt it was one of the better tours I’ve been on – our guide was terrific and gave us the perfect blend of the brewing process and the history of the brewery, and at €7.50 per person including a beer it was great value. 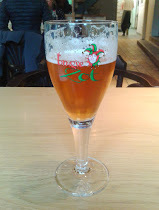 The beer we got in exchange for our ticket was Brugse Zot, a sweet, malty pale blonde ale which while not spectacular was unfiltered and unpasteurised, and brewery fresh. We now had a good beer buzz on so what could be better than climbing the 300 steps of the Belfry, scene of the demise of Brendan Gleeson’s character in the aforementioned In Bruges. Once we conquered the summit we went for a wander and had some lunch before going in search of t’ Poatersgat, a basement bar on Vlamingstraat. Poatersgat means “monk’s hole” and the door is a charming little entrance, almost like a doorway you would find in Hobbiton (as an aside, the Belgians seem to be strangely fixated on Hobits and all things Middle Earth). The owner was friendly and engaging and talked us through the many beers available, all of which are from what he described as “family breweries”. I wanted a draught beer and went for a De Koninck but I was really hankering for a gueuze, and sought the owner’s advice. I went for what he described as a beer at the extreme end of sour, the Cantillon Gueuze. Intensely tart, crisp and dry with a distinct taste of apple, it was the first of many gueuze I would drink that night but possibly the best, and once I had drained my glass we headed to our next port of call. ‘t Brugs Beertje was the highlight of the trip in beer terms. As we entered it was rammed but the manager Daisy handed us a menu and assured us a table would be available soon. We ordered two Special Brews (for ‘t Brugs Beertje), a strong dark ale coming in at 10% and in no time at all a corner table became free. There was a real buzz about the place, and ‘t Brugs Beertje is obviously something of a Mecca for beer tourists if the accents were anything to go by. We ordered a platter of cheeses and salami and among numerous beers the best was the Boon Oude Geuze Mariage Parfait – I was definitely getting my geueze on. I also had a Préaris IPA – No Hops No Glory, which came in a glass so beautiful I had to have it, and duly purchased one. I drank my first ever Halcyon from it last night, and Gemma was somewhat bemused as I held it aloft and declared its beauty. From getting my Geueze on to getting my geek on you might say. 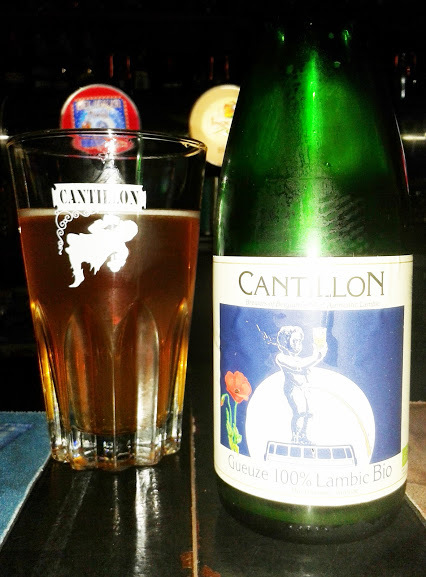 For more on the Bruges beer scene I recommend this series of posts by Chris Hall and this, the first of a series by Matt Curtis. And if you haven’t been, even if you don’t care for beer you need to go. 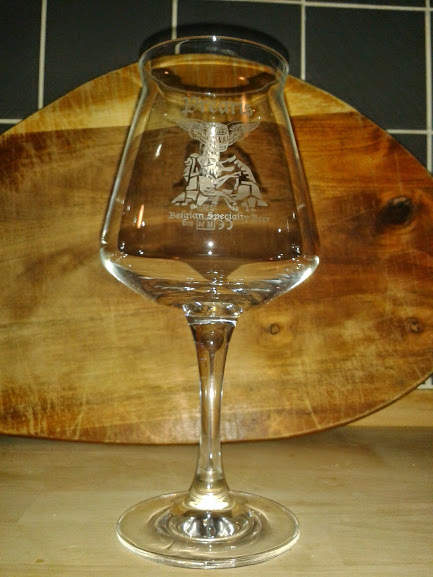 This entry was posted in Beers, Events and tagged 't Brugs Beertje, Belgian Beer, Belgium, Bruges, De Halve Maan brewery, t' Poatersgat. Bookmark the permalink.